Update 2/2/2016: Western Solar supports HB 2346 as originally drafted in the House Committee on Technology & Economic Development and as outlined in the post below. A substitute bill has been introduced but further details are still in negotiation and are not available as this time. 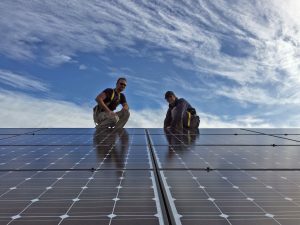 Washington’s solar industry has been booming thanks to the successful incentive program put into place in 2005. For almost ten years, the current program has helped to build a solar manufacturing sector in Washington and assist residents with putting solar systems on homes, businesses, and community buildings. In addition to helping installers like Western Solar deploy over 60 Megawatts of installed solar capacity, this program has supported 10,000 homes and businesses in going solar and created over 2,400 family wage jobs in the installation and manufacturing sectors. As we enter a new year and installation rates continue to rise, the existing program that has supported consumers’ energy needs is coming to the end of its useful life. Addressing the limitations of the current incentive program, while continuing to encourage Washington’s thriving solar market, requires looking forward and updating the program. Introduced on January 11, 2016, House Bill 2346 is the result of more than two years of discussions between legislative leaders, solar installers, manufacturers, and utilities. Developed with bi-partisan support, and sponsored by Representatives Jeff Morris (D – Mount Vernon) and Norma Smith (R – Clinton), HB 2346 will protect the positive benefits of the current program while allowing for continued deployment of clean renewable energy systems to maintain and expand energy choices for Washingtonians. 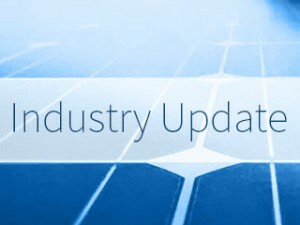 Protection for Existing Solar Customers: Consumers who have installed solar under the current program maintain their existing incentive at fixed rates until 2020. Simplicity & Certainty for New Solar Customers: Consumers who seek a solar energy alternative for their home or business receive 10 years of incentive payments at a fixed rate. More Incentives for Commercial Installations: New rate class for larger systems and expanded system size caps support business and community solar installations. Stable Long-Term Cost-Effectiveness: Reducing the incentive rate structure each year between 2016 and 2020 allows for a longer-lasting, more stable incentive program. Expand Utility Participation in Renewable Energy Options: Increasing the per-utility incentive cap from .5% to 2% allows for continued solar deployment in early adoption utilities. Increase State Revenues: Early elimination of the Sales Tax exemption for solar systems increases state revenues. For existing solar customers, HB 2346 provides protection by freezing incentive rates for current participants in the program at the rate they received in their 2014-2015 payout issued in August of 2015. This means that between now and 2020, systems installed before June 30, 2016 will receive a fixed rate on their remaining incentive payments, in Puget Sound Energy, Snohomish PUD, and Seattle City Light territories. If you’re considering an upgrade to your existing system, this will be your last chance to do so. Under HB 2346, there is no allowance for system expansions of customers whose original installs were done under the old program. The deadline to install under the current incentives is June 30, 2016, so if you’re thinking about increasing your system size and production, now is the time! Please give us a call at 360-746-0859 to discuss what options you may have for adding to your system. For new solar customers (installed after July 1, 2106), HB 2346 will offer 10 years of incentive payments at a fixed rate of up to $0.32/kWh. Though these rates will be at a negotiated lower rate than the current incentives, they will allow for long term stability and planning. Customers who go solar know that they can count on 10 years of payments at a fixed rate. These rates will be highest in 2016, and gradually step down year by year. 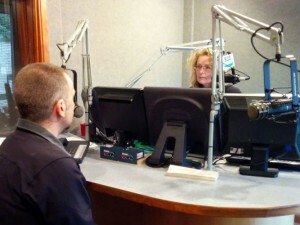 Western Solar supports the bill as a positive next step for solar legislation in Washington, but encourages anyone on the fence to install before the transition date in order to be eligible for incentives under the current program, as these will generally give you a larger return-on-investment and faster payback at the higher $0.54/kWh rate for production. Reducing the per kilowatt-hour incentive rate to reflect the current market and falling costs of solar installations creates a more balanced incentive program that will support Washington’s economy and the local solar industry. Maintaining an in-state manufacturing incentive helps drive local manufacturers to boost production and create local jobs. HB 2346 also addresses the sudden cutoff of current incentives in 2020 by introducing a gradual reduction of incentives. In addition to contributing to the longevity and balance of the incentive program, this benefits the Washington solar industry as a whole. Installers and product manufacturers will have the ability to adjust over time, whereas a sudden cutoff would negatively affect thousands of jobs statewide. Looking to the future, this bill will also put into place measures which address the eventual necessity of recycling used solar panels, when they reach the end of their lifespan many years down the line. We ask all of our customers, and anyone looking to support solar, to please urge your state representatives to support HB 2346. For the average piece of legislation in Washington, each legislator is contacted between 25-50 times; your voice counts! Calling is the most effective way to have your voice heard. Even if your district is already supportive of the bill, your legislator might be working closely with another who isn’t, so adding your voice is extremely valuable. If you wish to call or visit your legislators, you can find their contact information using the District Finder tool. 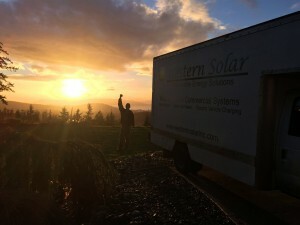 Solar Installers of Washington has also started a letter-sending campaign which will look up your legislator’s information for you and provide you with a pre-written letter to use or modify as you see fit. Please write to your representatives today! My understanding is that there have been some significant ammendme to to 2346. Can you bring us up to date on its current status and likely forward progress?